Bakkah (Arabic: بكة‎‎) is an ancient name for Mecca, the most holy city of Islam. Most people believe they are synonyms, but to Muslim scholars there is a distinction: Bakkah refers to the Kaaba and the sacred site immediately surrounding it, while Mecca is the name of the city in which they are both located. According to Lisan Al Arab of Ibn Manzor, the site of Kaaba and its surroundings was named Bakkah due to crowding and congestion of people in the area. The Arabic verb bakka (بكَّ), with double "k", means to crowd like in a bazaar. This is not to be confused with another unrelated Arabic verb baka (بَكَى)(single k) which is the past participle of yabki (يَبْكِي), to cry. 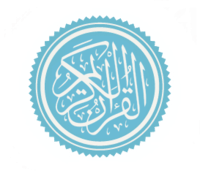 Bakkah is mentioned in sura 3 (Al-i-Imran), ayah 96 of the Qur'an,Translation: " Verily the first House set apart unto mankind was that at Bakka, blest, and a guidance unto the worlds.". Bakkah (also transliterated Baca, Baka, Bakke, Bakah, Bakka, Becca, Bekka, etc.) is the ancient name for the site of Mecca. An Arabic language word, its etymology, like that of Mecca, is obscure. One meaning ascribed to it is "narrow", seen as descriptive of the area in which the valley of the holy places and the city of Mecca are located, pressed in upon as they are by mountains. Widely believed to be a synonym for Mecca, it is said to be more specifically the early name for the valley located therein, while Muslim scholars generally use it to refer to the sacred area of the city that immediately surrounds and includes the Kaaba. 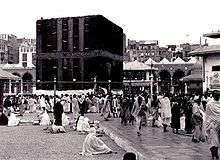 The form Bakkah is used for the name Mecca in the Quran in 3:96, while the form Mecca is used in 48:24. In South Arabic, the language in use in the southern portion of the Arabian Peninsula at the time of Muhammad, the b and m were interchangeable. The Quranic passage using the form Bakkah says: "The first sanctuary appointed for mankind was that at Bakkah, a blessed place, a guidance for the peoples." Other references to Mecca in the Quran (6:92, 42:5) call it Umm al-Qura, meaning "mother of all settlements". God heard the cry of the boy, and an angel of God called to Hagar from heaven and said to her, 'What troubles you, Hagar? Fear not, for God has heeded the cry of the boy where he is. Come, lift up the boy and hold him by the hand, for I will make a great nation of him.' Then God opened her eyes and she saw a well of water. She went and filled the skin with water and let the boy drink. Here, the tradition holds that a spring gushed forth from the spot where Hagar had laid Ishmael, and this spring came to be known as the Well of Zamzam. When Muslims on hajj run between the hills of Safa and Marwah seven times, it is to commemorate Hagar's search for help and the resulting revelation of the well of Zamzam. In addition to the Islamic tradition that Hagar and Ishmael settled in Bakkah, the Quran relates that Abraham came to Mecca to help his son Ishmael build the Kaaba adjacent to the well of Zamzam. However, in the Bible and ancient Jewish, Christian, and pre-Islamic tradition, Abraham is never mentioned as traveling far south into Arabia (Mekka is about 1400 kilometers south of Hebron, where Abraham is said to be buried). Ishmael is mentioned in the Bible as living relatively near to Hebron since he is mentioned in Genesis at Abraham's funeral. Ibn Ishaq, the 8th-century Arab Muslim historian, relates that during the renovation of Kaaba undertaken by the Quraysh before Islam, found an inscription in one of the corners of the foundation of the building that mentions Bakkah. Composed in Syriac, it was incomprehensible to the Quraysh until a Jew translated it for them as follows: "I am Allah, the Lord of Bakka. I created it on the day I created heaven and earth and formed the sun and the moon, and I surrounded it with seven pious angels. It will stand while its two mountains stand, a blessing to its people with milk and water." The name Bakkah is woven into the kiswa, the cloth covering the Kaaba that is replaced each year before the Hajj. How amiable are thy tabernacles, O Lord of hosts! My soul longeth, yea, even fainteth for the courts of the Lord: my heart and my flesh crieth out for the living God. Yea, the sparrow hath found an house, and the swallow a nest for herself, where she may lay her young, even thine altars, O Lord of hosts, my King, and my God. Blessed are they that dwell in thy house: they will be still praising thee. Selah. Blessed is the man whose strength is in thee; in whose heart are the ways of them. Who passing through the valley of Baca make it a well; the rain also filleth the pools. The context of Psalm 84 refers to a pilgrimage route for Jews going up to the temple of Yhwh in Jerusalem. No responsible commentator on the Psalms has suggested any place in the southern half of the Arabian peninsula, 1400-1500 kilometers away. The original Hebrew-language phrase for the Valley of Baca is emeq ha-Baka עמק הבכא. A literal translation of the Hebrew name is "valley of the Baka (tree)," (note the use of the word "the"), although the ancient Greek translation assumed a similar-sounding word בכה "crying" and translated ἐν τῇ κοιλάδι τοῦ κλαυθμῶνος "valley of mourning". The same Hebrew word בכא is associated with a famous battle in 2 Samuel 5:23-24 in the Valley of Rephaim, about 4-7 kilometers southwest of the present day Old City of Jerusalem. David is advised to engage the Philistines in battle when he hears the sound of marching in the Baka trees (translated "mulberry trees" in the King James Version, although the specific tree to which בכא refers is not known--many modern translations suggest "balsam tree"). 1 2 Barbara Ann Kipfer (2000). Encyclopedic dictionary of archaeology (Illustrated ed.). Springer. p. 342. ISBN 978-0-306-46158-3. 1 2 Oliver Leaman (2006). The Qur'an: an encyclopedia (Illustrated, annotated, reprint ed.). Taylor & Francis. p. 337. ISBN 978-0-415-32639-1. ↑ "Tanzil - Quran Navigator | القرآن الكريم". tanzil.net. Retrieved 2016-07-18. 1 2 3 Cyril Glassé & Huston Smith (2003). The new encyclopedia of Islam (Revised, illustrated ed.). Rowman Altamira. p. 302. ISBN 978-0-7591-0190-6. 1 2 3 4 5 William E. Phipps (1999). Muhammad and Jesus: a comparison of the prophets and their teachings (Illustrated ed.). Continuum International Publishing Group. p. 85. ISBN 978-0-8264-1207-2. ↑ Alice C. Hunsberger (2000). Nasir Khusraw, the ruby of Badakhshan: a portrait of the Persian poet, traveller and philosopher (Illustrated ed.). I.B.Tauris. p. 174. ISBN 978-1-85043-919-6. 1 2 Kees Versteegh (2008). C. H. M. Versteegh; Kees Versteegh, eds. Encyclopedia of Arabic language and linguistics, Volume 4 (Illustrated ed.). Brill. p. 513. ISBN 978-90-04-14476-7. 1 2 3 4 5 Daniel C. Peterson (2007). Muhammad, prophet of God. Wm. B. Eerdmans Publishing. pp. 22–25. ISBN 978-0-8028-0754-0. ↑ Sher Ali Maulawi; Mirza Tahir; Ahmad Hadhrat (2004). The Holy Quran with English Translation. Islam International. p. 753. ISBN 978-1-85372-779-5. 1 2 3 Philip Khûri Hitti (1973). Capital cities of Arab Islam (Illustrated ed.). University of Minnesota Press. p. 6. ISBN 978-0-8166-0663-4. In it are Signs Manifest; (for example), the Station of Abraham; whoever enters it attains security; Pilgrimage thereto is a duty men owe to Allah,- those who can afford the journey; but if any deny faith, Allah stands not in need of any of His creatures. ↑ Genesis 25:9 "And his sons Isaac and Ishmael buried him in Hebron"
↑ F. E. Peters (1995). The Hajj: the Muslim pilgrimage to Mecca and the holy places (Reprint, illustrated ed.). Princeton University Press. p. 47. ISBN 978-0-691-02619-0. ↑ James George Roche Forlong (1897). Short studies in the science of comparative religions: embracing all the religions of Asia (Reprint ed.). Kessinger Publishing. p. 536. ISBN 978-0-7661-0157-9. ↑ Jan P. Fokkelman (2000). At the interface of prosody and structural analysis, Volume 2. Uitgeverij Van Gorcum. p. 235. ISBN 978-90-232-3381-7. ↑ Heribert Busse (1998). Islam, Judaism, and Christianity: theological and historical affiliations (Illustrated ed.). Markus Wiener Publishers. p. 186. ISBN 978-1-55876-144-5. ↑ See, for example, Amos Hakham, Book of Psalms [Heb], vol. 2: 73-150, Jerusalem: Mossad Rav Kook, 1990, p. 104: "There are commentators who explain that `emeq ha-baka בכא is a valley where certain trees grow that are called בכאים "baka-trees," this valley is emeq refaim עמק רפאים "Valley of Ghosts" 2 Sam 5:22-24, and it is where pilgrims would ascend on their way to the temple area in Jerusalem" [translated from Hebrew]."